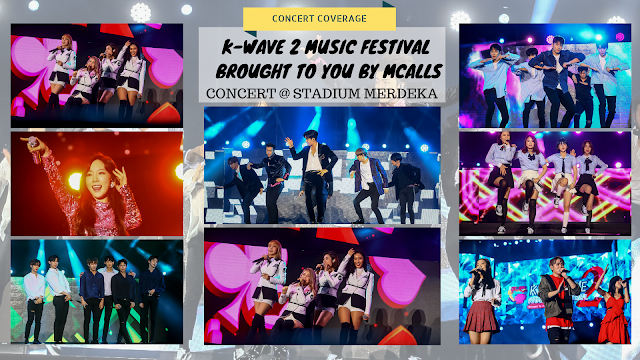 Kuala Lumpur, January 2018 – Still remember my previous article on K-WAVE 2 MUSIC FESTIVAL “Brought To You By” Mcalls? 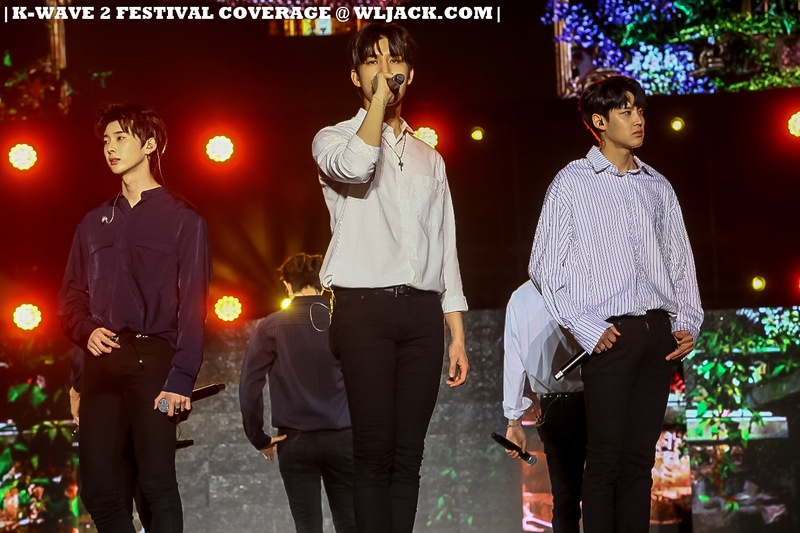 (Check out the link: http://www.wljack.com/2017/12/upcoming-event-k-wave-2-music-festival.html) It has finally happened on 13th January 2018 at Stadium Merdeka, Kuala Lumpur! 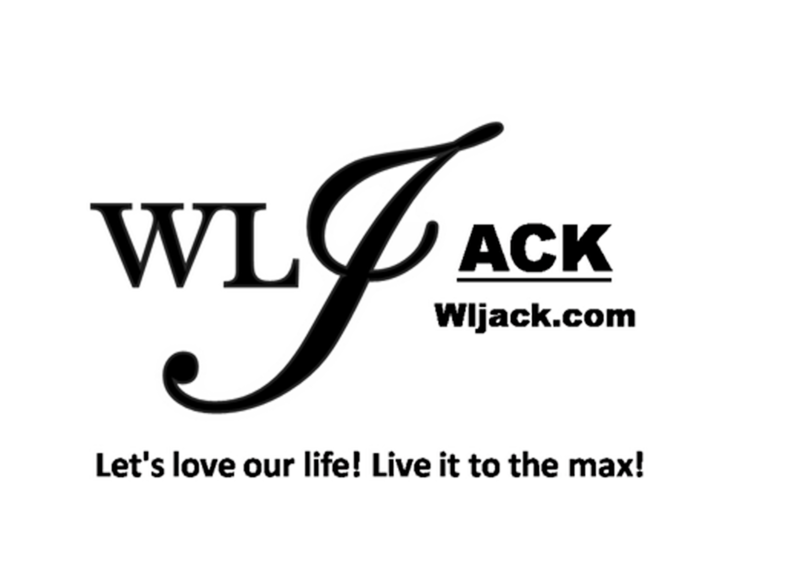 Our media team from www.wljack.com has been given a great opportunity to do a coverage on the event! Sold Out Show Which Has Attracted Over 10,000 Kpop Fans! Featuring massive lineups of 7 acts, including SUPER JUNIOR, SNSD TAEYEON, MAMAMOO, NU’EST W, A.C.E, TAHITI and HALO (Hexagon of Absolute Light and Organization), the concert has attracted approximately 10,000 K-pop Fans! It was really a spectacular event for K-pop gathering! Kicking Off With Sing! China Alum! The show kicked off with Sing! 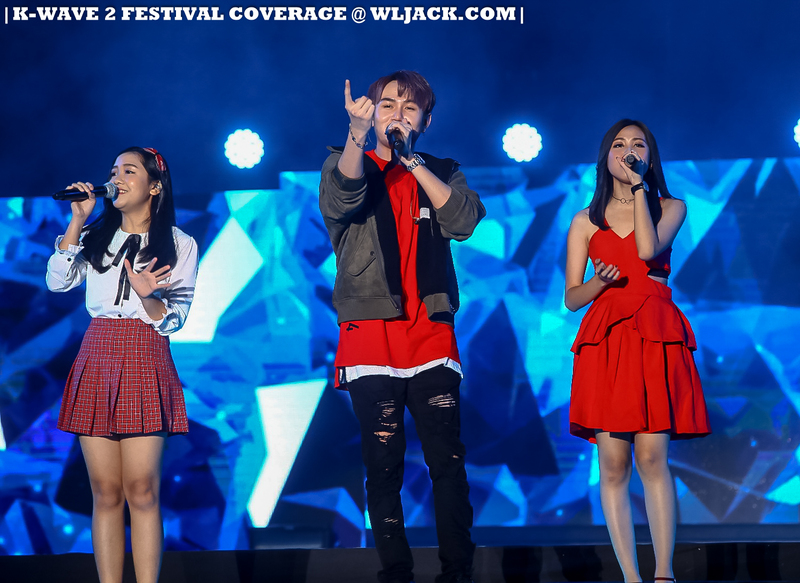 China Alum namely Jeffrey Chen, Janice Tan and Jeslyn Khoo as the opening act! They started up the show with their great vocals! 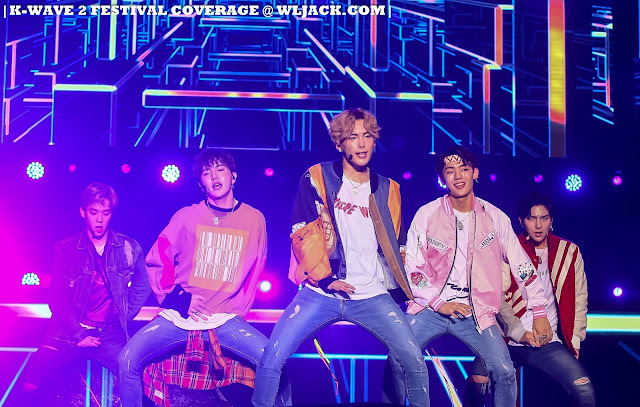 First Kpop Act of The Night: A.C.E! A.C.E which has just debuted last year was the first group of K-pop artistes that performed! This was also their first oversea performance. Thus, they felt a bit nervous and overwhelmed. 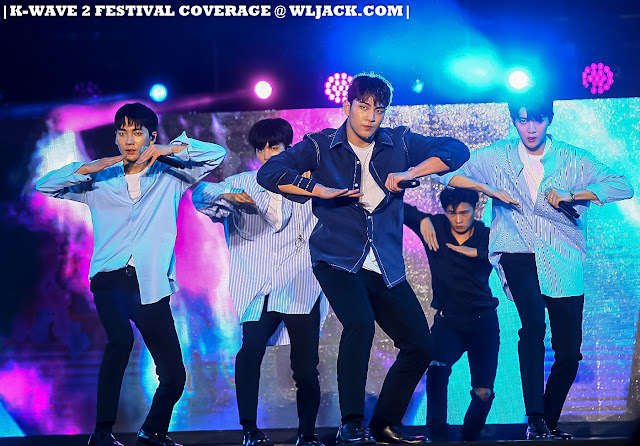 However, they were very grateful to be able to perform alongside the other senior Kpop groups! They have performed a total of 3 songs including “Cactus”, “Callin” and BLACKPINK’s “Playing With Fire”! TAHITI charmed the audiences with their performance! Following A.C.E was the performance by TAHITI. This girl group was very energetic and youthful. They have performed including “Phone Number”, “Skip” and “오빤 내꺼”. TAHITI has shared with the fans regarding their experience in Malaysia. Ari revealed that her brother is actually working as a tour guide in Malaysia and she was delighted to meet him here. Jerry mentioned that she really loves to visit Malaysia. Miso enjoyed the shopping experience here while Minjae said that she indulged in the stay at Malaysia Hotel. She said the hotel is really nice and she’s been calling for room service every day. 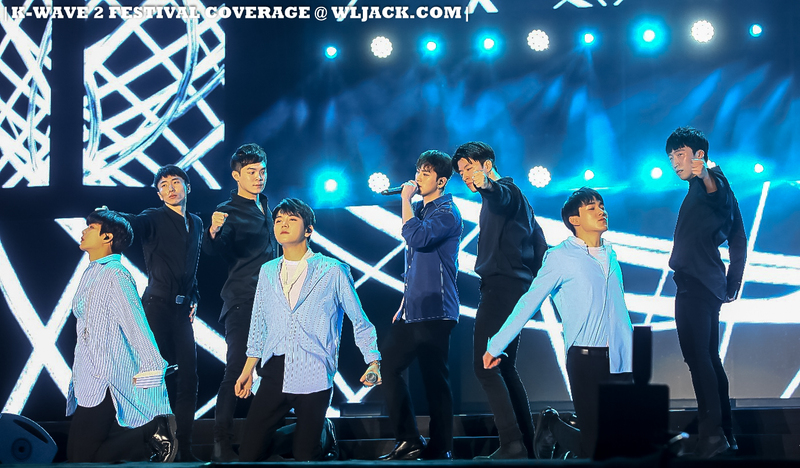 HALO’s Energetic Performance Amazed The Fans! HALO has brought the heat up with their awesome performance. 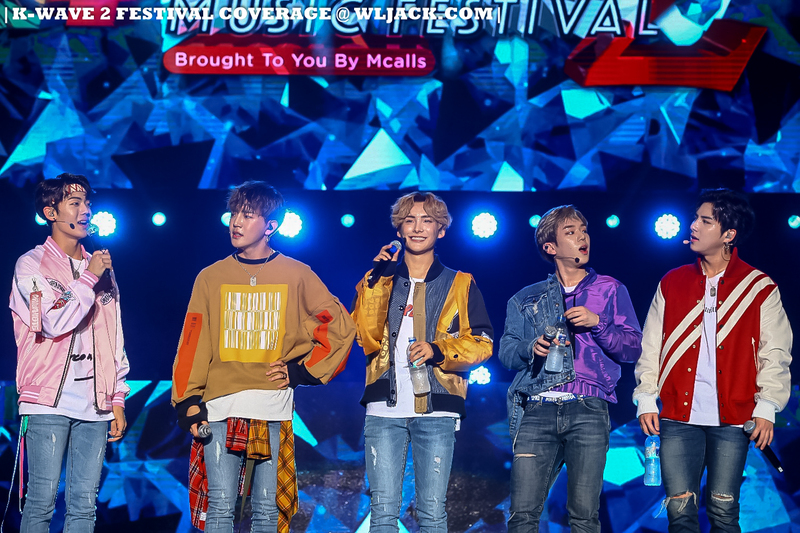 They have performed a few songs including “체온이 뜨거워”, “겁이 나”, “니가 잠든사이에” and “여기여기”! They thanked the Malaysian fans for all of the support. They were also very surprised that the Malaysian fans actually prepared a Birthday cake for Ooon during the welcoming. SNSD Taeyeon has enthralled the crowd with her spectacular voice. She has performed 5 songs in total including “I”, “11:11”, “Fine”, “Make Me Love You” and “Hands on Me”! All of the fans were mesmerized by her performance. She admitted that initially she was planning of cancelling her performance at K-Wave 2 Music Festival due to personal reason. However, she still came to Malaysia to perform and she was very glad that she did so. She felt the warmth and love from the Malaysian fans! NU’EST W Greetings In A Variety of Language! 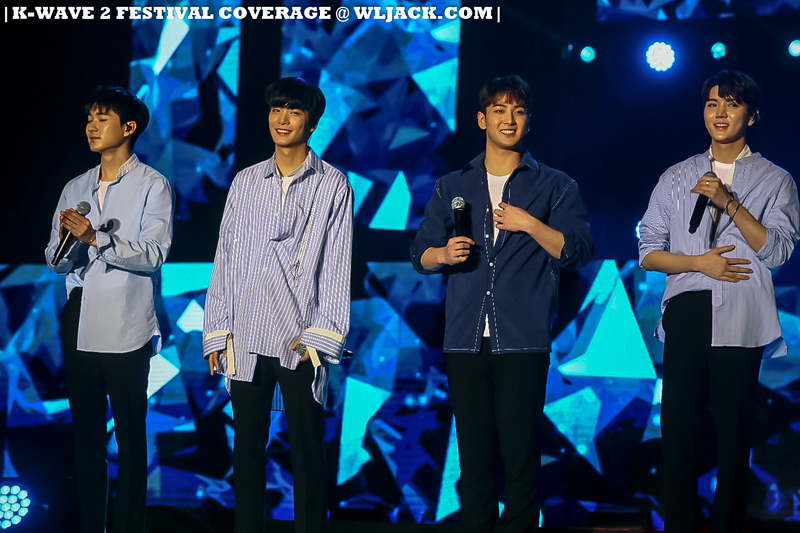 NU’EST W has greeted the Malaysian fans in multiple languages. 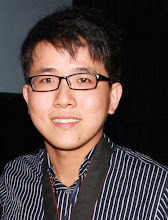 They have introduced themselves in Bahasa Malaysia, Mandarin, Korean and English. Ren even mentioned to the fans, “Malaysia Sayang” which has cheered all of the Malaysian fans! NU’EST W has performed their popular singles including “여보세요하루만”, “여왕의 기사”, “Love Paint”, “WHERE YOU AT” and “Look”! Despite Solar having a backache and was unable to dance on stage, MAMAMOO still put up quite a beautiful show on stage! Solar apologized to all of the fans due to the unforeseen circumstances but was still able to provide her vocal for their performances! MAMAMOO has performed a few of their songs including “나로 말할 것 같으면”, “데칼코마니”, “Love Lane”, “Girl Crush”, “넌 is 뭔들” and “음오아예”! Peak Of The Show, Super Junior Appearance! 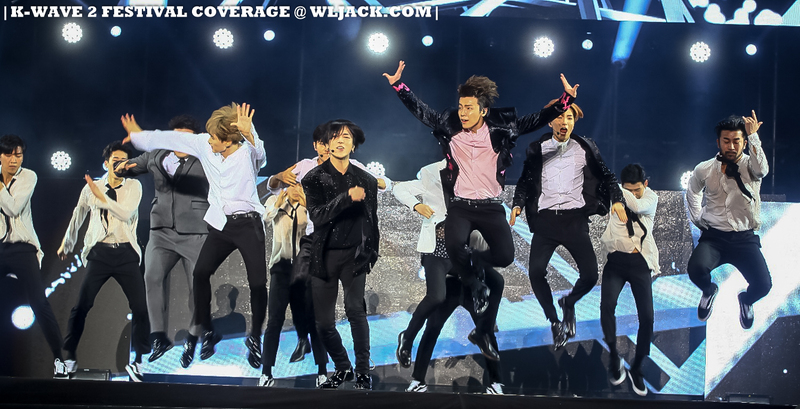 Last but not least, Super Junior was the final act of the show and they have brought the excitement to the max for the night! Being one of the most experienced performing groups of the night, Super Junior has poured out their overflowing charisma on stage. 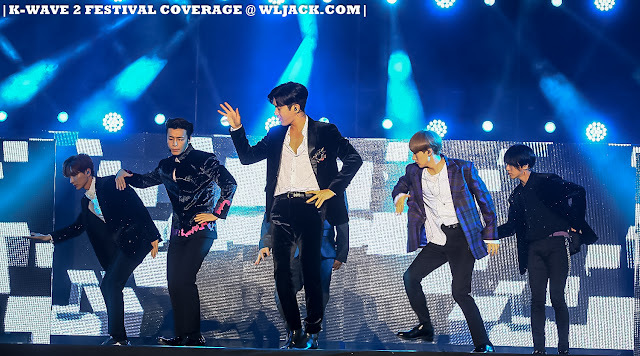 Super Junior has performed “Sorry Sorry”, “미인아”, “너는 나만큼 (D&E)”, “떴다 오빠 (D&E)”, “문 열어봐 (예성)”, “MAMACITA” and “Black Suit”. Apart from that, Super Junior has also hinted that Super Show 7 is coming soon! The fans were all very delighted with the announcement! A special feature of the concert was a post-concert teaser like those post-credit scenes usually seen in movies. 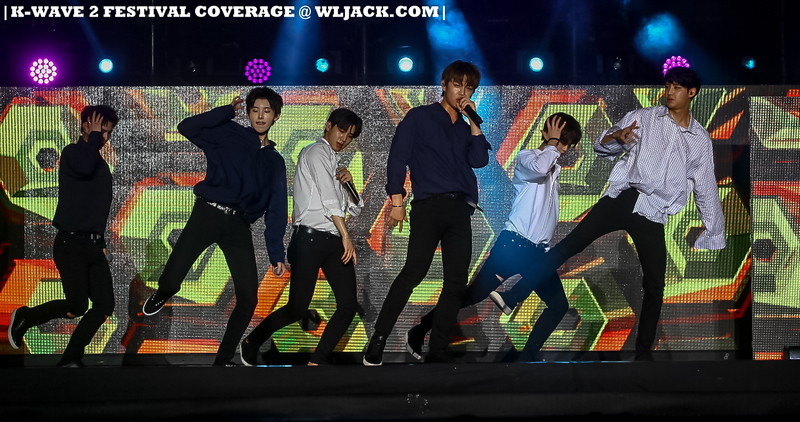 They have shown us a teaser video of MONSTA X that hinted that they will be coming to Malaysia for K-Wave 3 Music Festival! The show was hosted by Hitz FM radio announcer RD and Jay which were both very comedic and have brought a lot of laughter to the crowd too! 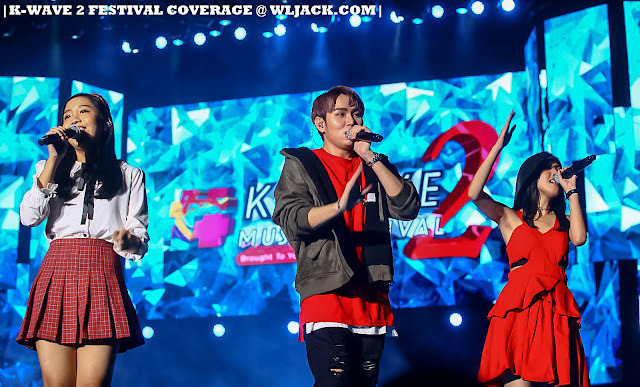 Million thanks to MacpiePro for organizing such a successful and grand K-pop Music Festivals! 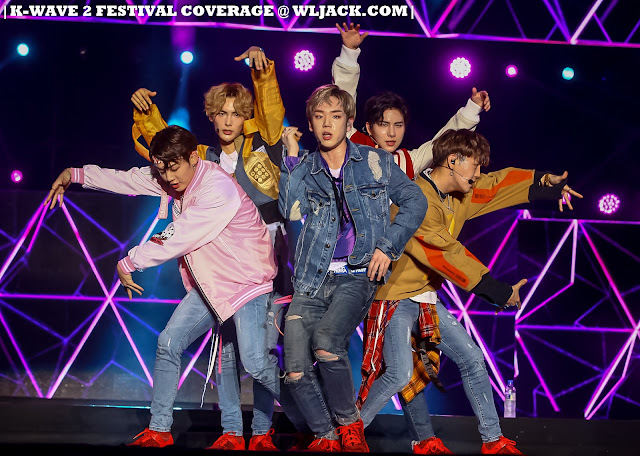 It’s a great treat for the K-pop fans! Do like MacpiePro on Facebook at www.facebook.com/MacpiePro to look out for more updates! Credits to official photographer for the amazing photos.